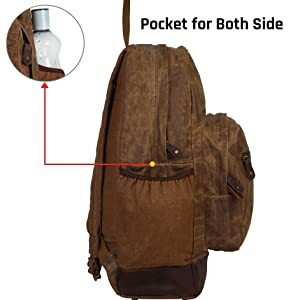 An ideal and practical leather canvas bag for men women that are for all time on the go, now you may bring all your on a daily basis necessary items around with hands free comfort with this casual backpack and rugged fashion in this Rustic Town waxed leather cotton canvas backpack. 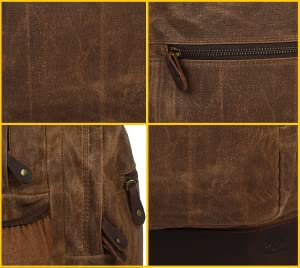 Finished with premium quality strong canvas soft and real leather, this strong bag features a standard so far fashionable zipper closure with amazing design, adjustable and comfortable strong shoulder straps, and various inner pockets with laptop compartment to keep you organized very well – anytime, anywhere! Dimension of Leather Canvas Backpack is - (L x W x H) 13" x 6" x 18"; (33x15x45 CM)-Size is measured by Hand. This is a Middle Size Coffee/Dark Brown 100% Real Handmade Waxed Leather Canvas Backpack with Simple but Classic appearance. 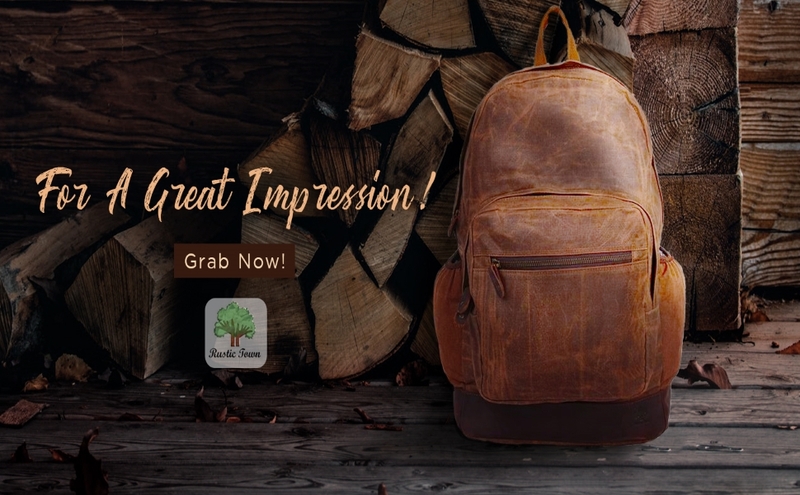 Made of High Quality Leather Canvas Backpack, it's sturdy and durable for longer. High quality Cotton Canvas Leather, strong strap buckles, Smooth Zippers, each details designed for the long, reliable service life. It is very convenient for you to put clothes, magazines, books, umbrella, water bottle, keys, cards and so on in the laptop backpack. 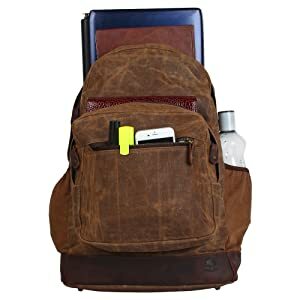 Awesome backpack for outdoor, working, traveling, hiking, camping, school, college and everyday using. 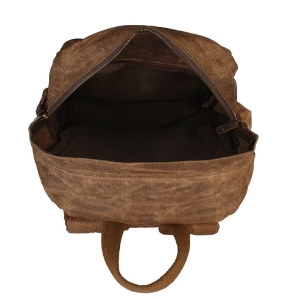 Two durable straps are in a hidden compartment to make this bag a backpack/rucksack/satchel. Condition: New high-quality canvas backpacks. Occasion: High school or college bag, hiking camping backpack, shopping casual daypack, work or office rucksack etc. Audience: Canvas backpack for men, women, boys, girls, adults etc. Medium capacity design, most of your living necessities can be hold inside. Ideal for college students, offices, travel, short trip, school attendance, going out of station, vacation, camping, shopping etc. 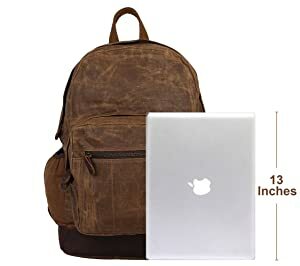 ✅ SIZE: Length 13", Width 6", Height 18" inches with large capacity Computers Laptop Backpack with many pockets can offer more space to hold your stuffs like 13" laptop, iPad, cellphones, keys, wallets.